If you are tired of your Shih Tzu trying to take you for a walk, then it is time to start dog leash training. Dog leash training is a helpful tool that establishes your dominance with your Shih Tzu. Before you start training sessions, allow your dog to get acquainted with their collar or harness by wearing them in the home. Make sure to try to avoid walking your dog in anywhere that is unfamiliar or has many distractions. 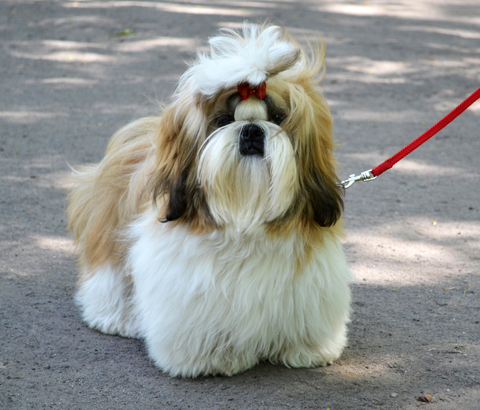 Use the following tips to have success when training your Shih Tzu to walk on a leash. 1) Know your dog’s personality. An energetic Shih Tzu loves to be on the go, and you may have to reel in some of the excitement. A lazier, more relaxed dog may require more coaxing than one that is more active. 2) You will need to pick-up a few training tools for your Shih Tzu before you begin training. Your dog will need a leash that is around 4 to 6 feet long, an appropriate sized collar and harness, and some favorite treats.